Your next shopping trip may not be as convenient as it used to be. The second quarter earnings season brought news from several major retailers that they will be shutting down stores. Both Saks (SKS) and Abercrombie & Fitch (ANF) said they were closing stores in several parts of the country. Meanwhile, other stores like the struggling Blockbuster video rental chain, continue to slash stores by the dozens. American Apparel (APP), which is close to defaulting on its loans, just may be next. Consumers just aren't shopping the way they used to. 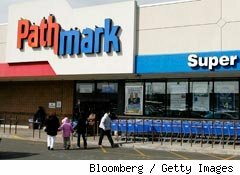 Even Wal-Mart Stores (WMT), which typically fares well during tough economic times, is worried. "The slow economic recovery will continue to affect our customers, and we expect they will remain cautious about spending," said president and CEO Mike Duke in a statement that was released during the company's second quarter earnings report. 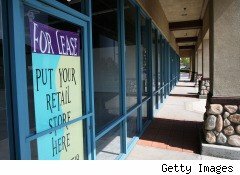 With the prospects for economic recovery iffy at best and consumer spending still moving at a snail's pace, it's little wonder that retailers are sussing out their weakest stores and closing them in order to protect profits. Retailers say they are positioning themselves to play where they can be strongest and avoid burning resources in places that won't produce the results they want. Here are some of the biggest store closings of late. The lux department store company plans to close two Saks Fifth Avenue stores in Plano, Texas, and Mission Viejo, Calif. That's in addition to stores in San Diego, Portland, Ore., and Charleston, S.C., that Saks closed a month earlier. CEO Steve Sadove said there may be more store closings to come this year. Meanwhile, Saks is opening more of its discount Off 5th outlets in suburban Portland, Ore., Cypress, Texas, and Mebane, N.C. Sadove told analysts in a conference call that after two years on the defensive, the company has begun making investments in areas that will have the biggest impact on the bottom line. The clothing company with the edgy "FCUK" ads closed all but six of its U.S. stores as part of a reorganization. 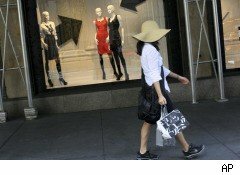 It says it will focus on selling its clothes at department stores. 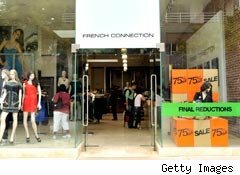 It also closed all 21 of its stores in Japan and sold its Nicole Farhi apparel line. After a very difficult 2009, the restructuring plan was necessary in order for the company to return to profitability, CEO Steve Marks told investors. The Great Atlantic & Pacific Tea Co. (GAP) said it will close 25 grocery stores across five states by the end of the third quarter as part of a turnaround strategy. The stores were chosen based on their performance, proximity to other company stores and issues with cost or real estate.